You are probably on this page because you are looking for a team excellence speaker in the country. Your team is aiming for greater heights this year. Your organization certainly want to hit and exceed goals you’ve set at the beginning of the year. You need to a speaker to boost everyone’s motivation to excel in what they’re doing – giving their 100% focus and attention from executives all the way down to the rank-level staff members. 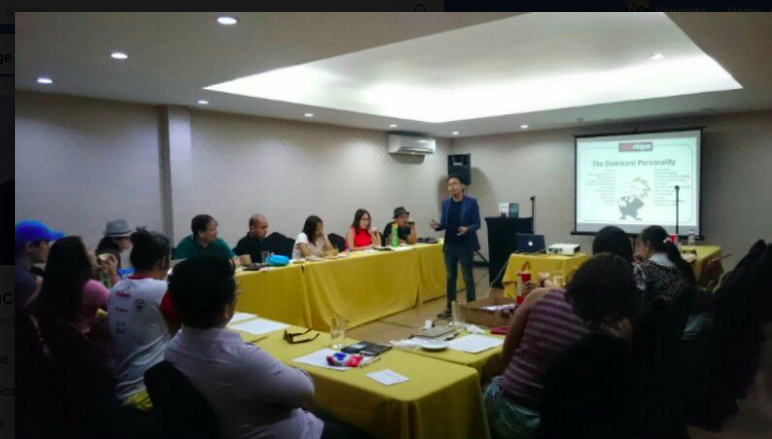 How to Choose the Best Team Excellence Speaker in the Philippines? A team excellence speaker should be a corporate leader himself in the marketplace. His or her experiences and knowledge combined is the best set of teachers. You can’t invite someone who doesn’t have an experience working with teams in an office or being a team member of a group of professionals. Team excellence isn’t just about hitting your goals/quota/benchmark. It’s also ensuring that all your team members have the right attitude towards their goals. You don’t want to let your team achieve their individual objectives but remain personal issues on hand with each other. Look for a speaker who can deliver values that will not bring temporary results to your team or organization but will also provide a lasting effect to their entire professional careers as well. Venchito is the Co-Founder, and Marketing Director of SharpRocket, a leading digital marketing company in the Philippines, focuses on providing search engine optimization services to international clients based in U.K., U.S., Canada, and Australia. He has been widely featured at Inc. Asia, Forbes and Huffington Post – one of the leading news websites in the world. Also, Venchito is also a Certified Trainer of YOUnique DISC Personality Development program by Mr. Jayson Lo and a Certified Practitioner of Emotional Intelligence Program by GENOS International. Being a team excellence speaker, Venchito can customize a talk that addresses your needs as a company. Are you interested? Contact him below to request for a proposal.